I was trying to describe what it feels like to SEARCH for genealogy clues and tips on Ancestry.com. I don’t know if other adoptees can relate, but I have the strongest desire deep in the core of my being to SEARCH FOR PEOPLE! I truly believe that I began searching from the moment I found out I was adopted, and that was 5 years old. I began to search for my birth mother all over the place. Looking back over my childhood and my life, I really don’t think anyone understands the heartache and trauma this causes on a child. How would you feel if you searched for your own mother every where you went? I remember distinctly how it felt, and all the places I looked for her. I remember seeing someone who might be “her”, but I never had enough guts to ask anyone until I reached my early teens. Of course, then I sounded like an idiot, “Are you my mother?”. SMH. That book makes me cry by the way, every time I see it or read it. 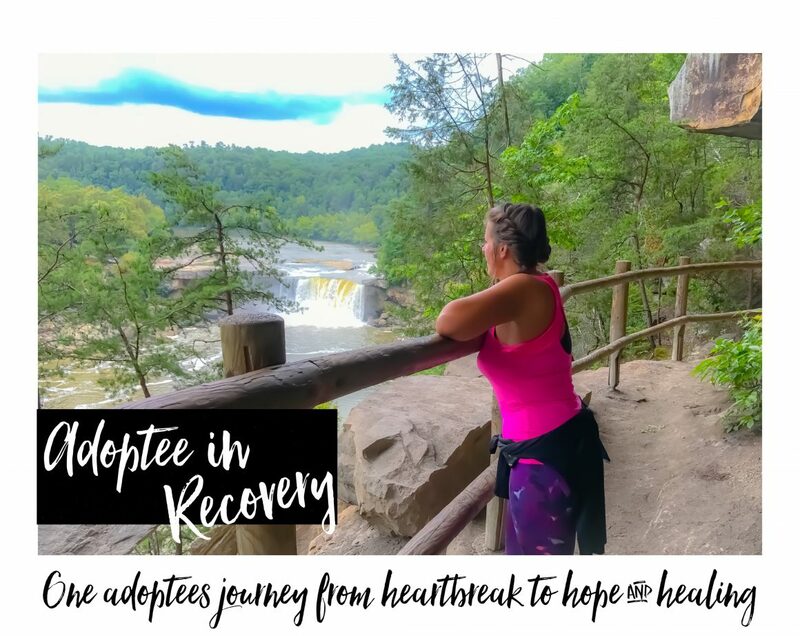 My mind was filled with fantasies about who she was, where she was, and I knew in my heart of hearts this “Adoption Thing” was all a big mistake. There was no way possible a mother would truly give their baby up, would they? I dreamed my birth mother was looking for me, and any day she would pull up in her car and take me back home where I belonged. Every day I waited. Every day I was disappointed when she didn’t come. I never accepted the fact that it was real. As I got older, I got angry. At 21 my adoptive mom told me she had been keeping something from me, and she lied to me my whole life. She knew who my birth mother was. Feeling betrayed, I began the search for my birth mother because now I had her name. Within days I found her, and the search was over. During that time (1995) the internet wasn’t big at all. I couldn’t get online and do anything, but I did learn to be resourceful. I was born in Iowa, but I lived in KY. I called the Iowa library in the city I was born, and was super extra nice to the librarian who answered the phone. I really needed her help since I was so far away! I explained to her why I was calling, and she was more than happy to help me. I asked her to look up my birth mothers name in the 1974 directory. She did, and she found my birth mother and her address. Then I asked her to look in the 1995 directory. My birth mothers name wasn’t there, but there was another person that had the same last name as my birth mother that was listed in 1974 AND 1995. The librarian gave me this persons name, and I called her. She happened to be my birth mothers sister-n-law through marriage. Within minutes I had my birth mothers number, and called her. Over the years, I have helped many friends & family search for long lost loved ones. Again, the deep desire I have to help others connect their puzzle pieces is almost indescribable. It’s so strong, and now as an adult at 40 years old searching is something that truly makes me happy. I get excited with a new challenge, and I am always ecstatic when I help someone fill in some missing pieces. Little by little mysteries are being solved. Little by little people are bridging the gap between fantasy and reality when it comes to WHO THEY ARE AND WHERE THEY COME FROM? Some people don’t have this desire in them at all, so that leaves me to believe it’s a gift. I have helped a friend who gave a baby up for adoption find her son. They were reunited a few years back. I have helped a guy find his birth parents, and he had never spoke to his father his whole life. I helped a childhood friend find her brother who was given up for adoption when they were children. The list could go on and on. It’s something that truly makes me happy. I remember not knowing, and no one being anywhere to help me. Maybe God has put me here to support others in their search and reunions, and to be someone who can assist them in what to do next? I’ve been searching for over 20 years now. I’m pretty good at it, and I believe God is using me to help others connect with long lost family members. I recently subscribed to Ancestory.com. Wow.. You would think I was on crack for real! ( LOL.. Those who know me know I’m living in recovery, 2 years 5 months!) I get addicted to searching for clues and cues. It’s insane. I literally have to pry myself away from the computer. I can spend hours and hours searching. What is this big thing I have with searching? Does it come from searching for my birth parents at such a young age, even before I had a name? Do any other adoptees have this desire to search for their long lost loved ones? Even for others? To help them find their missing pieces? Please share your thoughts & experience! Previous How Do You Feel About The Day You Were Born & Why? Next Adoptees, Why Are You So Angry?